The guitar arpeggios you’re going to learn in this guitar lesson can be used in any style of music. But if you’re a jazz or blues player, these guitar arpeggio forms are essential in helping you improvise over chord changes. Blues is based around dominant 7th chords. So dominant 7th arpeggios are blues guitar arpeggios. So these dominant 7th guitar arpeggios can be used to augment the pentatonic licks that you might normally play in a blues setting. If you are a jazz guitar player, learning to play over the chord changes of a tune is essential. And learning to negotiate the dominant 7th chord is no exception. What is a Dominant 7th Chord? When you see a chord symbol like D7 or A7, that’s what’s known as a Dominant 7th chord. The name comes from an old music theory term that was used to describe the 5 degree of a major scale. Each degree of the major scale is given a number. Here are the old music theory terms for each degree of the major scale. “Dominant” is the term for the 5th degree. Chords are built from scales. And the 4 note chord that’s build from the 5th degree of a C major scale is a G7 … a G Dominant 7. Basic 4 note chords are created by skipping every other note in the scale for a total of 4 different notes. So a G7 chord has the notes G B D and F.
The reason you might what to refer to this type of chord as a Dominant 7th rather than just calling it a “7th chord”, is that there is more than one type of 7th chord. If I went through the same process I did to create the G7 on the other degrees of the major scale, I would get some of those other types of 7th chords. There are major 7, minor 7, minor 7(b5), and diminished 7th chords. So 7th chords are any of those, plus our dominant 7th. 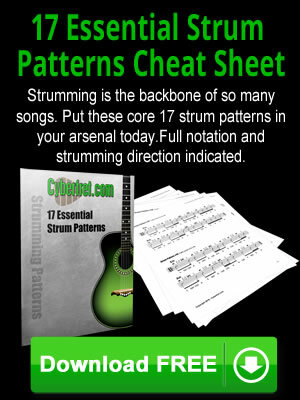 Dominant 7th is just a term to clear up what type of 7th chord you are referring to.